Disney (DIS) is looking to continue off of Captain Marvel’s success with Avengers: Endgame debuting April 26th, 2019. Captain Marvel has already brought in more $1 billion in worldwide box office revenue and leading all 2019 movies by a wide margin. 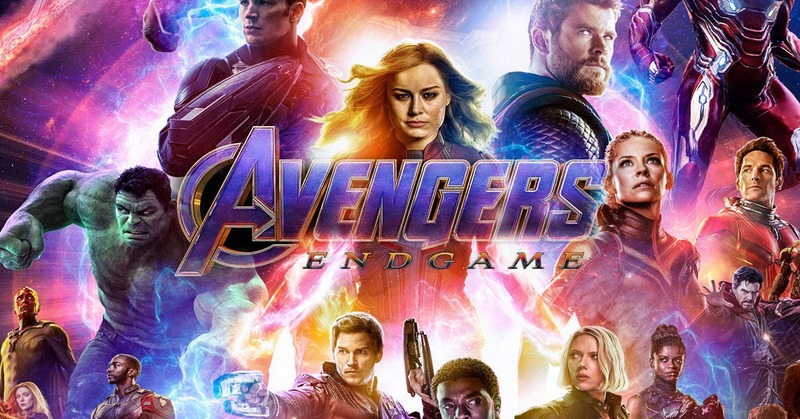 Disney is betting huge on Avengers: Endgame taking the torch to the $2 billion box office milestone, a feat that’s only been accomplished four times, one of them being Avengers: Infinity War last year with $2.05 billion. All the initiatives that Disney has taken over the previous two years to restore growth appear to be coming to fruition, namely its Fox (FOX) acquisition and it's streaming initiatives. The Fox acquisition is complete for the combined entity; thus Fox’s assets are now definitively being absorbed by Disney. Disney continues to invest heavily into its streaming services such as Hulu, ESPN Plus and it's soon to be released Disney branded streaming service that will directly compete with Netflix (NFLX). The Fox acquisition brings a majority stake in Hulu (60% ownership) while its ESPN Plus launched earlier this year and has over 2 million subscribers. Disney continues to dominate at the box office while posting great growth at its theme parks translating into robust and durable revenue streams. The company is evolving to meet the new age of media consumption demands of the consumer via streaming and on-demand content. Disney has been on an uptrend as of late, breaking through the $115 relative to an all-time of ~$120. I’ve been behind Disney for a long time, especially through this transition back to growth and I still feel that the company offers a compelling long-term investment opportunity given its growth catalysts that will continue to bear fruit over the coming years. Goldman Sachs recently championed Disney’s reinvention efforts and boosted its target price to $142, a 20% increase from the $115 current share price. Goldman Sachs has changed its view on Disney after the investment bank removed Disney from its buy recommendation in December of 2017. Now Goldman Sachs has come out to back Disney and labeled the stock as a buy. It's "the dawn of a new era" after the company bought the media assets of Twenty-First Century Fox, the acquisition which Goldman advised. Now the impending launch of Disney Plus marks a "momentous" shift in content monetization, though investors will need to be patient with some heavy lifting around the launch, suggests Drew Borst. Meanwhile, the market may be so focused on Fox and the streaming launch that it's overlooking the benefit of growth in the Parks, film and consumer products businesses, he writes. Borst has a price target of $142, implying 20%-plus upside from current levels. These are the same dynamics that I’ve been behind as this long transition has unfolded. The parks, film and consumer products divisions have remained strong, and its reliance on ESPN has lessened over this timeframe. On March 20th, The Disney/Fox tie-up was finalized, and Disney is fast at work to integrate this colossal entertainment company. Disney will reportedly lay off 3,000 workers with most of those firings coming from the Fox side, per the report. Some layoffs will be immediate while others may not happen for months. Disney CEO Bob Iger said in a welcome email to Fox employees. In the end, Disney (DIS) will expand its moat and acquire properties such as Avatar, the X-Men movies, Titanic and TV shows such as The Simpsons and This Is Us. The acquisition also gives Disney the cable networks FX and National Geographic; a controlling stake in the streaming service Hulu, which has more than 20 million subscribers. Comcast prevailed in a winning bid for UK broadcaster Sky as Fox agreed to divest its Sky ownership. This divestiture enables Disney to reduce its debt that was required to purchase the Fox media assets and will allow more investment into its streaming services such as Hulu, ESPN Plus and its Disney branded streaming service. This presents some complications with the blended ownership of Hulu since Comcast owns 30% of the streaming service. Bloomberg Intelligence analysts Geetha Ranganathan and Paul Sweeney note that Disney will have 60% ownership of Hulu. The analysts say Hulu might finally be rid of the “messy ownership structure that has plagued it all along” and Comcast could still choose to sell its 30% interest. Buckingham Research analyst Matthew Harrigan says his firm doesn’t think it “makes sense” for Comcast to hold onto its Hulu position just to block Disney from having 90% ownership. Harrigan says there can be multiple winners in the direct-to-consumer market and that it will prove “essential” for Comcast and Sky to “work amicably” with Disney, particularly Disney’s DTC products like Disneyflix and ESPN. Harrigan notes that both Comcast and Disney have to compete with the likes of Netflix, Amazon, and Apple, so it “makes no sense” for Comcast to be an albatross to Disney. Disney has finally released its first highly anticipated film of 2019 with Captain Marvel (the first female lead for a Marvel film). The film has performed exceptionally well, delivering an opening weekend box office gross of $457 million worldwide and $153 million domestically. Avengers: Endgame will attempt to break the $2 billion mark later this month to become only the fifth film to achieve that feat (Figure 1). The first two months of the year for the domestic box office has been a struggle relative to 2018. Captain Marvel brought in the third highest March opening of all-time and places the film on par with past blockbusters such as The Dark Knight, The Hunger Games and Rouge One. Dumbo, Avengers 4, Aladdin, Toy Story 4, Lion King, Frozen 2 and Star Wars Episode 9 is Disney’s slate of films that will bode well at the box office as these films stand to rack in billions in box office receipts. It’s noteworthy to point out that Disney is poised to defend its box office dominance again in 2019 for the fourth consecutive year. Disney has dominated the box office over a multi-year stretch due to successes across multiple brands such as Star Wars, Marvel, Pixar, and Disney Animation releases. Disney has held the most market share for the past three years by a wide margin. In 2016, 2017 and 2018 Disney’s studio captured 26.3%, 21.8% and 26% of the market share, respectively based on domestic box office gross. Disney’s studio is also the fastest to reach $1 billion in domestic box office gross and holds the three top fastest times. In 2016, 2017 and 2018 Disney achieved this mark in 128, 146 and 117 days, respectively which are the three fastest on record. In 2018, Disney’s studio was the fastest ever to $1 billion in box office gross (117 days) and has captured over a fourth of the market share at 26%. In 2018, Black Panther became the third highest grossing movie of all-time domestically with $700 million and ultimately grossing $1.35 billion worldwide and becoming the ninth highest grossing movie of all-time. Avengers: Infinity War posted the biggest domestic and international box office weekend of all-time with $258 and $630, respectively. Avengers: Infinity War became the fastest movie to gross over $1 billion worldwide and only the fourth movie to ever break through the $2 billion threshold ultimately grossing $678.8 million and $2.049 billion worldwide. The release of The Incredibles 2 shattered box office records bringing in $180.7 million during its opening weekend debut, not only shattering the previous opening weekend record for an animated film, but finishing with one of the top ten openings of all-time for a film of any genre and surpassing $608.6 million domestically and $1.243 billion worldwide. Shifting the focus to Disney’s future of streaming, ESPN Plus was launched in 2018 to a mixed skeptical reception among shareholders and consumers upon its debut. Due to precipitous declines in ESPN viewership via traditional cable, Disney was cornered to remediate its ESPN business and evolve to the cord cutting consumer. Recently, Disney announced a key milestone for its streaming platform, reaching over 2 million paid subscribers. ESPN is Disney’s first inroads into the streaming arena offering a package of sports which include Major League Baseball (MLB), National Hockey League (NHL), college football, soccer, boxing and UFC for $4.99 per month. Disney has kept its ESPN Plus subscriber numbers a secret and would only state that its paid subscriptions were "strong" and that growth was surpassing expectations. Hulu's live TV service, which launched in May 2017, has over 2 million subscribers, roughly a year and four months after the debut of the streaming service. Collectively, Hulu has more than 25 million U.S. subscribers. Consumers are awaiting Disney's stand-alone streaming service in 2019, which will include Pixar, Marvel, Disney, Lucasfilm, and National Geographic content. Collectively, Disney’s streaming initiatives are bearing fruit, and as Bob Iger stated in a recent interview, its streaming efforts are a marathon, not a sprint. Captain Marvel has set the stage for Avengers: Endgame and Disney’s robust film line-up for 2019 with a strong possibility of over a half dozen films that stand to rack in over a billion dollars at the worldwide box office. Avengers: Endgame is predicted to be only the fifth movie ever to eclipse the $2 billion box office mark. Avengers: Endgame will be followed by Aladdin, Toy Story 4, Lion King, Frozen 2 and Star Wars Episode 9. Disney is poised to defend its box office dominance again in 2019 for the fourth consecutive year. The Fox acquisition is under its belt and integration has begun while receiving a buy rating from Goldman Sachs with a price target of $142. Disney’s streaming initiatives via Hulu, ESPN Plus and direct to consumer Disney branded streaming service are major catalysts moving forward. The Fox acquisition brings in properties such as Avatar, X-Men, Titanic and TV shows such as The Simpsons, cable networks FX and National Geographic. Disney offers a compelling long-term investment opportunity for the long-term investor at an attractive valuation. It’s noteworthy to point out that Disney’s stock has appreciated quite a bit moving into its analyst day and soon to be released earnings. A slight pull-back may be in the cards. Disclosure: The author does not hold shares of DIS, but he does engage in option selling in any of the mentioned underlying stocks or ETFs. The author has no business relationship with any companies mentioned in this article. He is not a professional financial advisor or tax professional. This article reflects his own opinions. This article is not intended to be a recommendation to buy or sell any stock or ETF mentioned. Kiedrowski is an individual investor who analyzes investment strategies and disseminates analyses. Kiedrowski encourages all investors to conduct their own research and due diligence prior to investing. Please feel free to comment and provide feedback, the author values all responses. The author is the founder of stockoptionsdad.com a venue created to share investing ideas and strategies with an emphasis on options trading. Disney's analyst day was a huge success with its streaming initiatives and Star Wars teaser. The stock popped $13.50 per share or 11.5% on the news. The company's streaming efforts are starting to be rewarded by analysts and shareholders!